Consider supporting the Sister Servants of the Eternal Word by purchasing a copy of their non-professional live audio recording of traditional Mananitas songs. 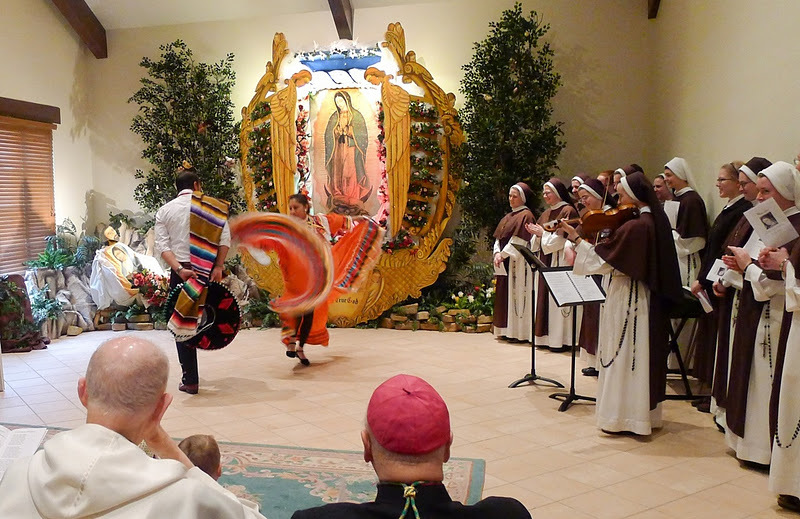 Every year, the Sister Servants celebrate the feast day of Our Lady of Guadalupe with an hour of singing to the Blessed Mother in the morning, a custom called Las Mananitas in Spanish. They are offering a CD, a DVD or an MP3 download all for $5! Tuck it away and pull it out on the next Feast of Our Lady of Guadalupe or better yet, start learning the words to the songs now so that you can sing along with the sisters to honor Our Blessed Mother on December 12, 2012! P.S. I don't receive any compensation for advertising from the Sister Servants other than the graces obtained from the faithful prayers of a sweet SIL who has found in them the fulfillment of her vocation as a religious sister. But we'd get those even without a blog post!